Ali and Brad were set up on a blind date by her cousin Courtney and her now husband Andy back in September of 2011. They spent the night talking about everything and nothing at all until early morning. The rest, as they say, is history. 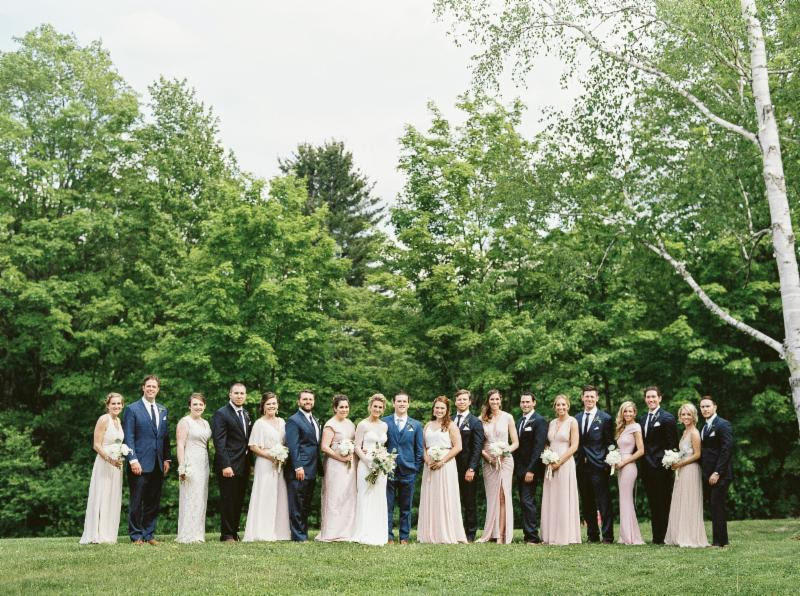 Ali has always loved the earthy, natural look of lots of greens and soft florals. As she began her research for ideas, she fell in love with farm tables, floral table runners and soft candle light. Her vision was a super romantic, natural environment. The dresses that she was drawn to were those with a more bohemian style. Her bridesmaids choose everything from their dresses to their jewelry and hairstyles. She wanted them to feel just as comfortable, beautiful and confident as she would. The bridesmaids only obligation was to find a long dress that fell in the rose, blush, or champagne category. The couples favorite thing was the layout of the reception with the amazing florals. The king farm tables were draped with beautiful soft flowers, loads of greens and lots of candles of different heights and shapes. Ali and Brad were so pleased with every detail of the day. They knew each aspect of the wedding truly represented them as a couple. All of our vendors were just extraordinary. We could not have had a more perfect weekend.